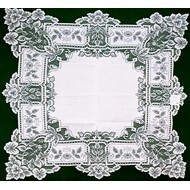 Versatile Heirloom adds elegance to your home décor. 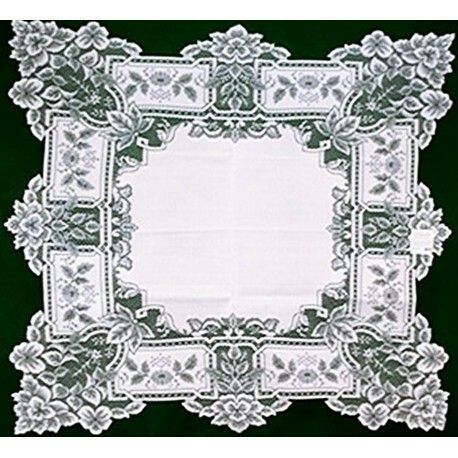 Inspired by an antique European handkerchief of fine linen edged in lace, the Heirloom pattern has a timeless look. 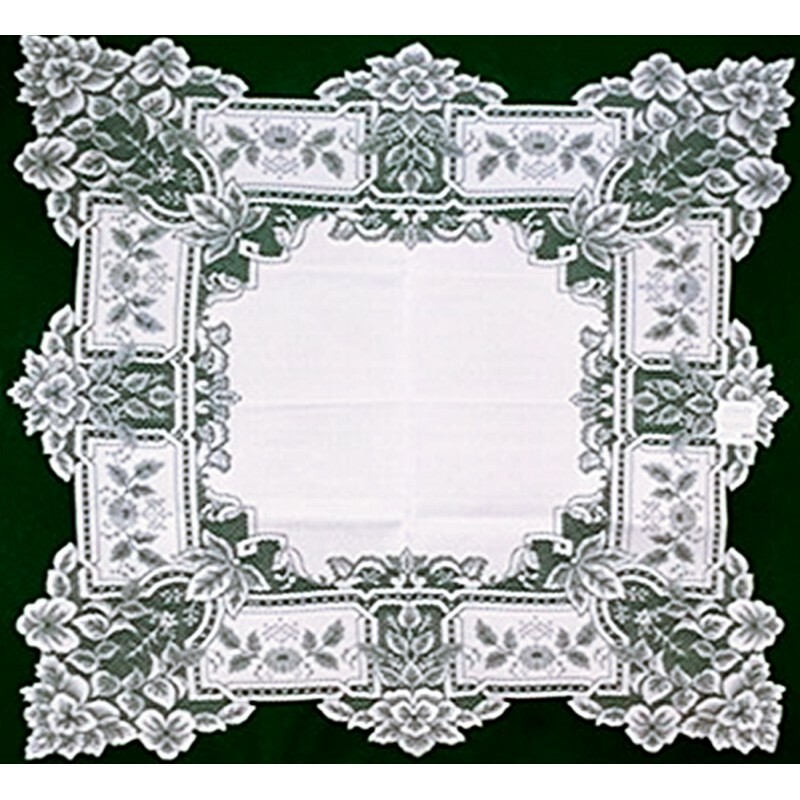 The fabric part of the table topper is edged with intricate floral elements and deep-cut, leafy edging and scallops. Size: 36 inches x 36 inches. Care: Machine wash cold-gentle. Do not bleach. Lay flat or hang to dry. Touch up with a cool iron if desired. Made in the USA by Heritage Lace. Attention International Buyers: Please click on "Shipping Info" at top of page on how to save money on shipping cost.